The last two posts have been leading up to this one! 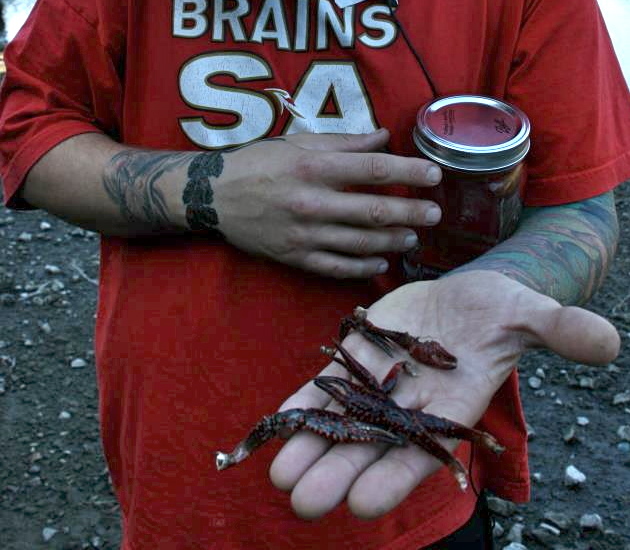 It's a trend I've been paying attention to, because it appeals to the strong hunting and gathering instinct in me. I realize you all might be creeped out a little. I mean who wants lizards and dead birds in their curio cabinet? 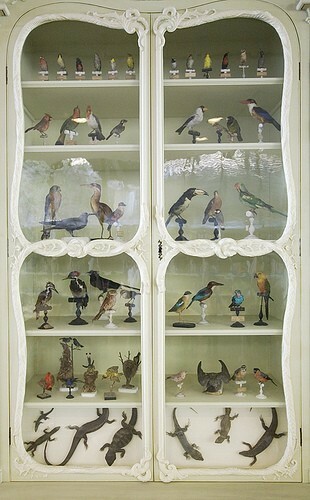 Actually, this cabinet is in Paris's Natural History Museum. 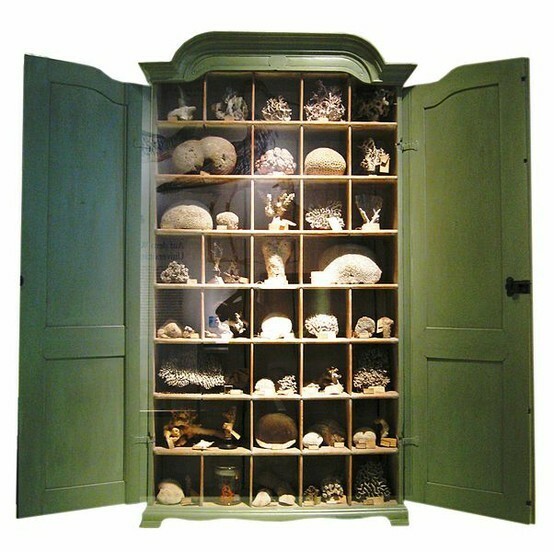 I prefer the green cabinet above displaying lovelies from the sea! It's all about bringing the natural world inside. Honoring and respecting nature. 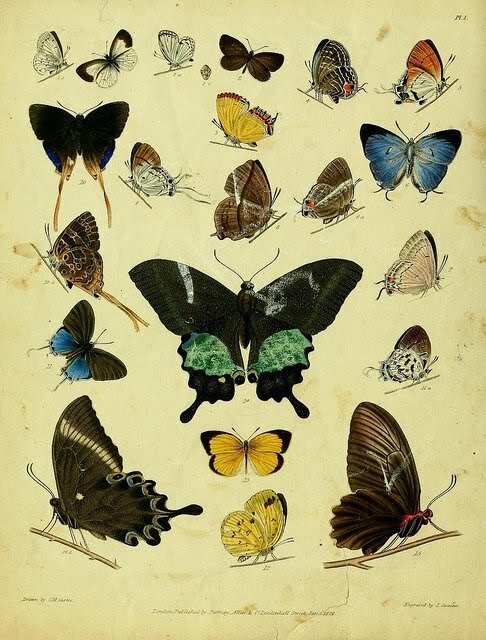 This collection of nature prints from Natural Curiosities certainly does that. 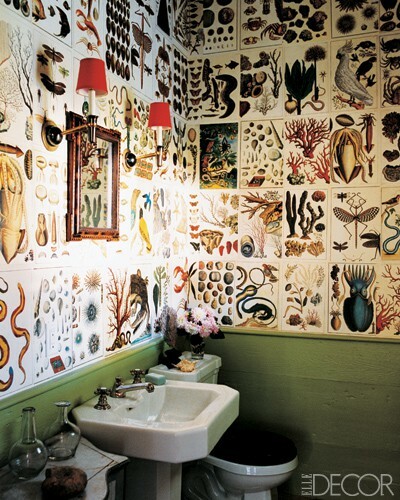 Here is a bathroom decorated with a natural curiosity theme. 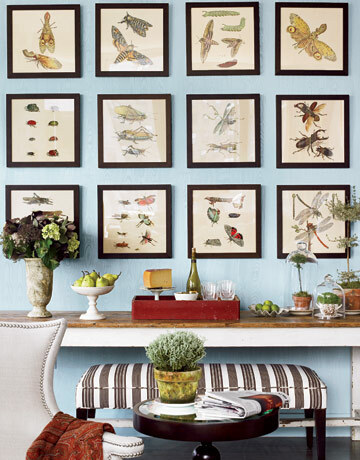 The walls were simply decoupaged with prints depicting creatures from the sea. There are so many species to choose from, that you could pick your theme. 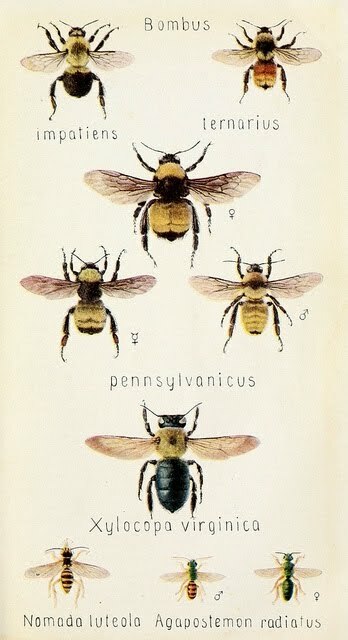 I'm loving this bee print. Butterflies are a popular theme too. As well as sea shells. So far, my natural curiosity collection consists only of bird's nests and sea shells, but I am looking forward to collecting more things like rocks, mossy branches, leaves and feathers. I am in love with Joan Ross's mantel. She has gathered wonderful elements on her walks and displayed them beautifully. A piece of driftwood, a tree fungus, honeycomb and moss. I love the juxtaposition of these natural elements with the gold framed mirror, ivy and confit pot. A recent article in Country Living featured this home and a cabinet filled with "controlled chaos" as the homeowner calls it. It would be fun to have just one curio cabinet filled with specimens gathered on all your travels, walks and hikes on the beach or forest. A young Alex gathering driftwood on a winter-time California beach. His collection consists of a boar's head, antlers, a shark's jaw, shark's teeth, and lots of fossils. He definitely inherited the "hunter, gatherer, collector" gene from me. Our son-in-law loves finding creepy crawly things too. It will be filled with specimens from all their travels around the world. Moss topiary balls introduce a natural look and add texture to this arrangement of elegant objects. Incorporating natural touches, typically seen as casual, does not diminish the formality of a traditional space. Rather, it adds another layer of personality. Opt for subtle additions and you’ll maintain your room’s sophistication. You have to admit, decorating with nature is pretty much free! 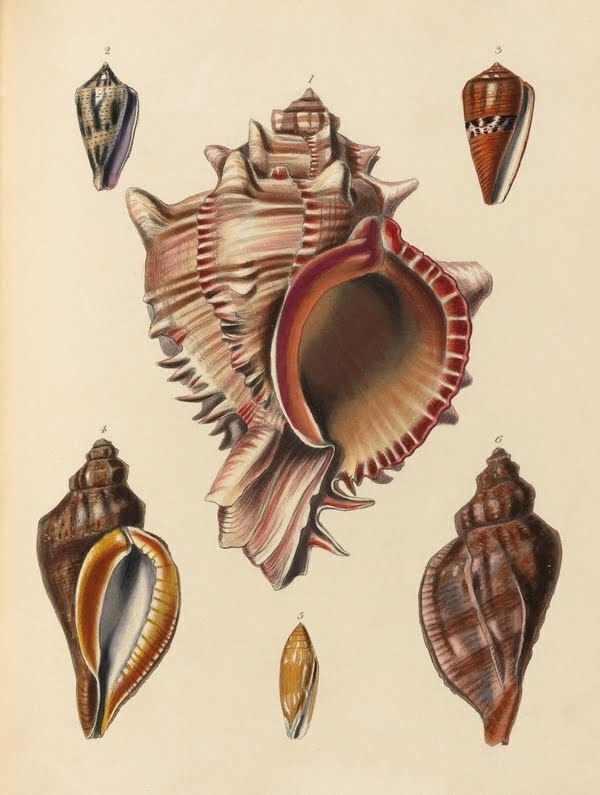 However, if you would like to collect nature prints, there is a website called, of all things, Natural Curiosities, by Christopher Wilcox here. 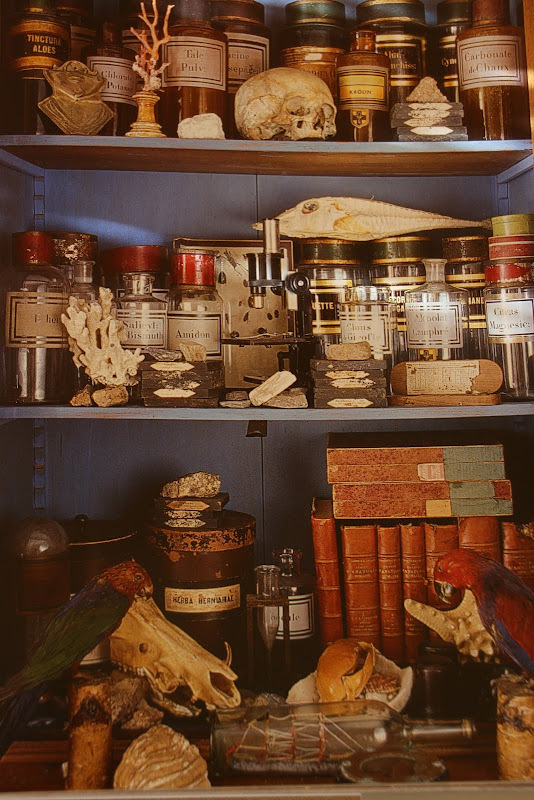 Love this post, as I have a cabinet that holds various birds nests and yes, even a few found animal skulls. I was inspired by Rembrandt Huis in Amsterdam, an amazing display. OMG! I love collections...if you love something you need to have at LEAST 5 of them! I have turtles upstairs (Our Indian tribe is a turtle clan--Choctaw)Seashells from all the beaches I ever went to..including sand...apothecary jars with soaps from all the hotels I've ever been to...owls in honor of the owls that live in our trees and so popular during the 60s...I could go on, but you might get bored...very very cool blog! 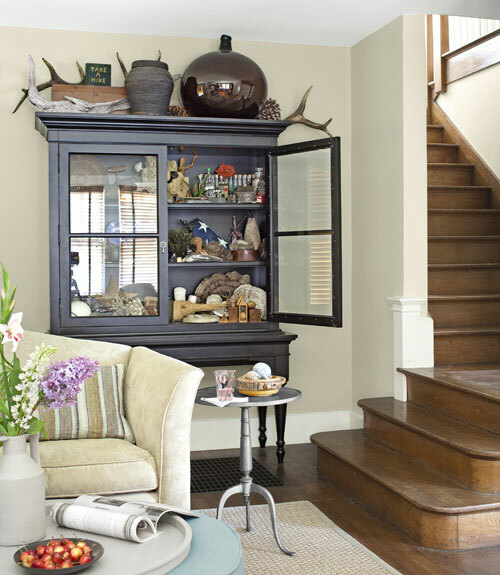 Great post and I love collections and big ole cabinets. I love this post. I too have a fascination of nature collections. I am in the process of transforming a little china cabinet into something similar and these ideas are so great. 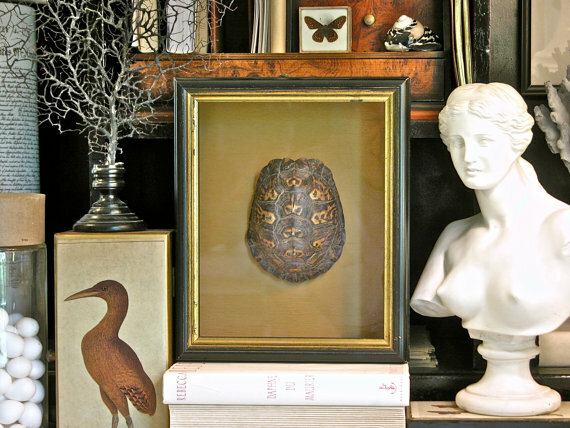 So far I have a couple of vintage taxidermy pieces, sea shells, old books and birds nests. Great! "controlled chaos" !! Love it Delores! I'll definitely be using that one in the future when the house is not quite as tidy as it should be! What a great post, love the two cabinets! It definitely takes a good eye and artistic flair to display these things well, all done beautifully here. I love the look...but a little goes a long way. Nature is our best teacher.